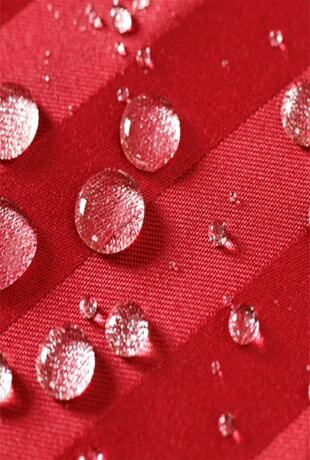 Fabric items at our workplace and home such as chairs, sofas, storage cabinets often suffer spillages and stains. This not only looks bad, but it also shortens the life of these items, and turns them into a breeding ground for germs and infections. At homes, common spillages by kids or body sweat and hair of pets leave germs and stains on your precious seating and items and convert them into a breathing ground for infection. This treatment begins with preliminary scrubbing and vaccuming of your fabric items. This is followed by steam sterilization process, which disseminates steam on the fabric at 140 degree Celsius to eradicate all traces of pathogenic microbes and organisms. To conclude, we apply a special fabric protection agent that creates an invisible layer of liquid and dirt repellent over the cloth. So any liquid on contact with the surface of the fabric is unable to penetrate it and it can then easily be wiped off without leaving any stain. Similarly, all dust and dirt particles collect over the surface of the fabrics and are unable to penetrate past this protective layer, making it extremely easy to wipe them off. Once this special treatment is executed by our experts, it leaves your fabric items and furniture looking beautiful and new throughout their natural life, while continuing to protect them.